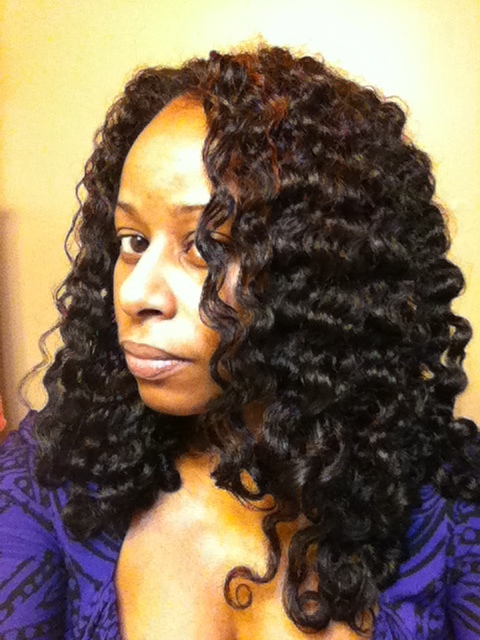 As promised, here are the results from my Late Night Styling session/braid-n-curl set on Sunday night. 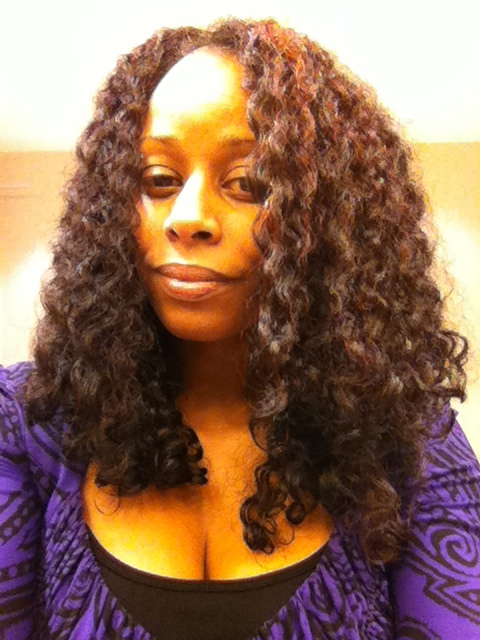 I used Shea Moisture Raw Shea Restorative Conditioner as my leave-in and my FSCG to style. As my hair was still damp, as expected, on Monday morning, I left the braids in for the day and just used a jaw clip to put them up for work. I released my hair on Tuesday morning with a little coconut oil whip to nicely defined, but flat, hair. I then massaged my roots to give the braid-n-curl a little more volume. And, when I got to work, I separated the sections a little more on a bathroom run for the final look above, which my hair at the end of the work day. Although my hair is a little piecier than I like it, I think that the FSCG is going to give me the hold that I was seeking to allow my braid-outs to last a little longer. Even though there was humidity in the air outside (light snow) and despite the fact that I wore no hair covering, my hair didn’t swell! I’m hoping that my hair will get fuller each day while still maintaining definition and shine. Guess we’ll see!! On another note, I can’t wait to use up this batch of FSCG so that I can experiment some more with the next mix based upon some advice given on the gel post and some YouTube videos that I’ve been watching. Day two hair has yet to be revealed. But, check in later on my Facebook, Twitter and/or Instagram page —————->>>> and you’re likely to find an update ;). Do you use gel to give your braid/twist-out sets staying power? What products/combo(s) work the best for you to deliver hold AND moisture? I like when your braid out are not seperated.looks great! You mean the first or the second pic Tiffany?? If the second, okay, I can see that and it was okay there. But, it looked really spacy, which I was able to “conceal” by the angle of the pic. That’s why I separated, because I don’t like that see through look where you can see the air through my hair! LOL!! Hi Shelli! I just use Eco Styler gel (olive oil version). I want to try the argan oil version once I run out. I find that If I use a light leave in like Giovanni or Garnier Fructis Sleek and Shine, then seal with an oil (usually coconut or argan), the gel won’t make my hair too hard but give a nice hold. I’m hoping this combination will work in the summer as well. I just chopped in November 2012, so this coming summer will be my first summer fully natural. Humidity does crazy things to my hair so I’m praying that gel will work. LOL! Hey Nancy!! My sister like’s the Eco Styler Argan Oil version. I haven’t tried it and have stuck with the Olive Oil one because it works well for me. 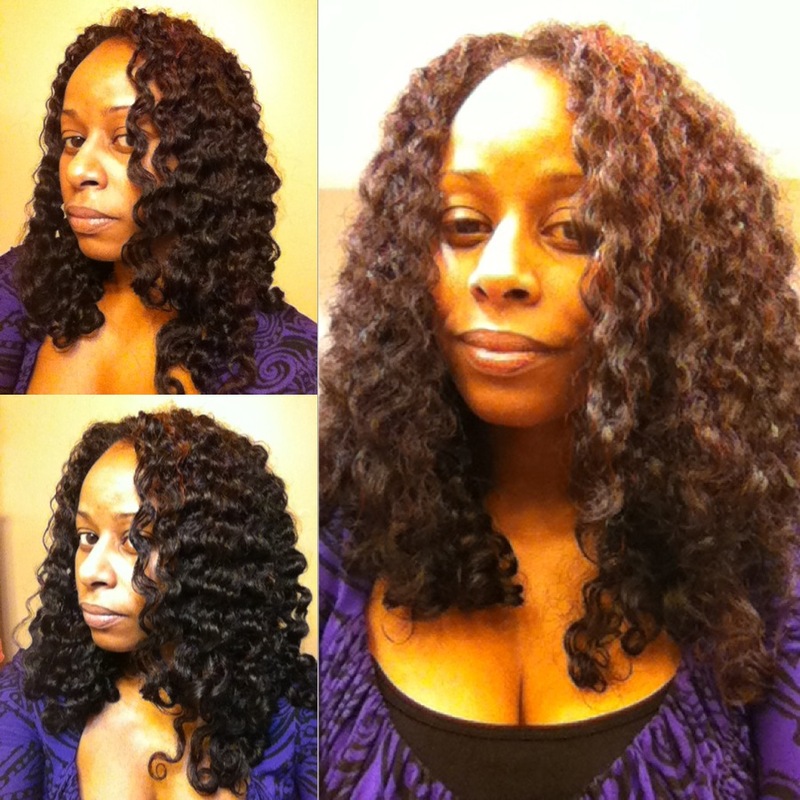 I actually have been thinking about trying it on my TnC or braid-out because I’v seen others get great results. But, because I’m on this DIY natural product kick right now, I decided to give FSG a try to see if I can get good results! And wait, you BC’d?!?!?! Okay, missy!! I want an update to your hairstory!!! I absolutely love your blog :).I’ve learned so much from you since I big-chopped in February last year. We have the same exact hair type (fine, etc), so its made my hair journey a lot easier to go through. I’ve been using homemade FSG since November of last year. It’s great because it provides hold without any stick/flaky buildup. 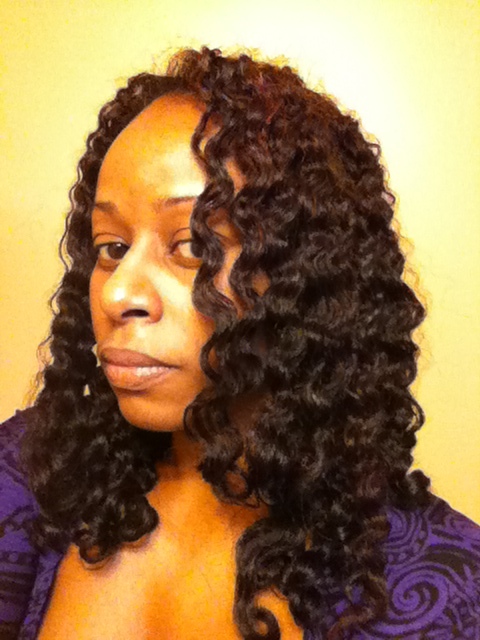 I also use Kimmaytube leave-in conditioner (2 tbsp Organix Shea Butter conditioner 2 tbsp. jojoba, 2 tbsp. JBCO, 2 tbsp. aloe vera juice). This week-end I ran out of my oils and had to go into the pantry for EVOO to make my latest batch. It turned out to be a blessing in disguise because the leave-in with EVOO provides really good moisture for these dry winters here in T.O. Then I decided to add some of the leave-in conditioner to my latest batch of FSG. MAGIC!! Thank you so much CeeJay!! And, can I tell you, I tried mixing my modified kimmaytube with the FSG yesterday?!?! I think I probably put too much as I used equal parts FSCG and KT leave-in. But, I think I needed the additional moisture too because my hair had gotten dry over the course of the week!! So, thank you so much for sharing!! When I make my next batch of FSG, I’m going to try adding the kimmaytube leave-in to the big batch and I’ll layer it under the gel first too!! What deep conditioner did you use Michelle? Chelsea, you can definitely do a braid and curl on relaxed hair! !